When we added support for iPhone 6 and 6 Plus in v2.3.2, we introduced an compatibility issue with iOS 7 which made it impossible to edit action titles on iOS 7. Our sincerest apologies! This v2.3.3 update fixes that issue. This v2.3.3 update also fixes an iOS 8 compatibility issue which was causing crashes when entering text with a non-Roman keyboard. 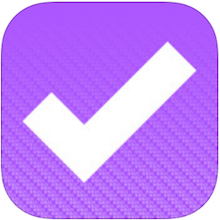 The OmniFocus Today Extension displays a list of actions due today in Notification Center. This list is analogous to the Today section of Forecast within OmniFocus. To add the Today Extension, use the Edit button at the very bottom of Notification Center. OmniFocus now appears as a recipient when tapping the Share button in other iOS apps. You can add shared content directly to a Project or Context, or to your Inbox by leaving those fields blank. If OmniFocus doesn't initially appear in the Share popover, it may need to be enabled via the "More…" button at the end of the recipient list.